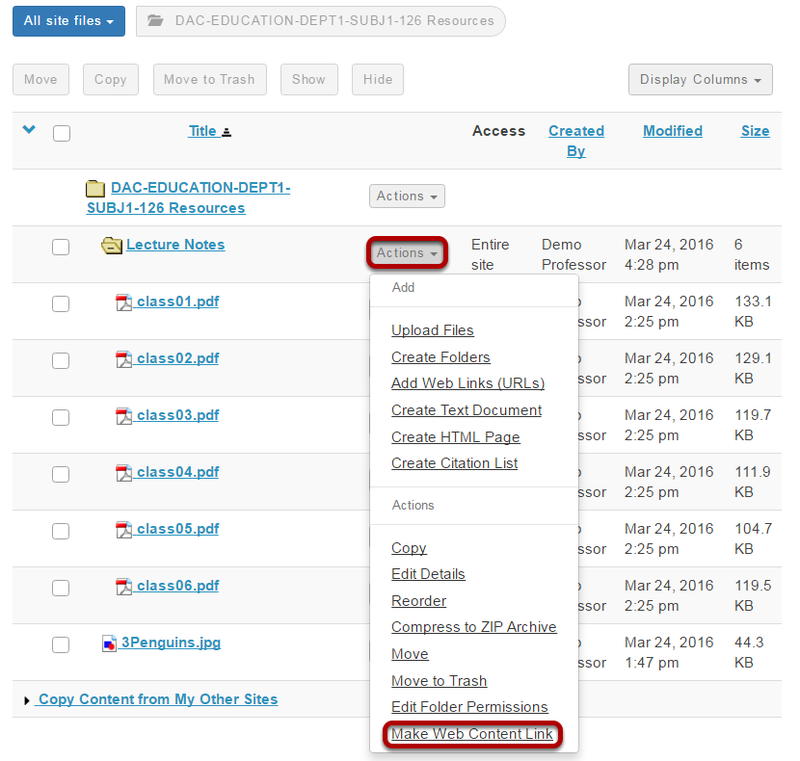 Instructor User Guide Web ContentHow do I create a Web Content link to a folder in Resources. Instructors can use the Web Content tool to create a tool link to a folder or a file in Resources. Click Actions > Edit Details > Make Web Content Link. Click Edit Details for the folder you want to link to, and then select Make Web Content Link. Enter a title and click Add. Enter a title for your web content link. This is the title that will appear listed in the Tool Menu of your site. Click Add to add the link. 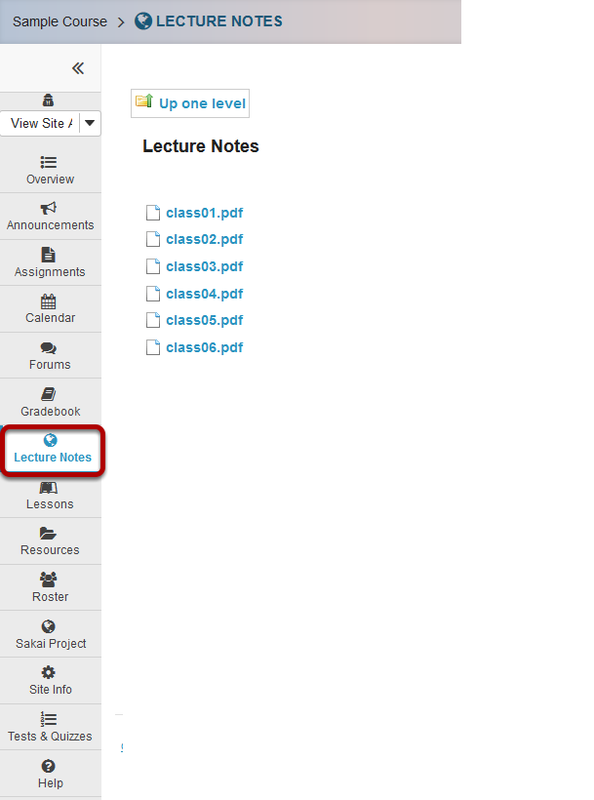 Click the new tool button to access the contents of the folder. Prev: How do I create a Web Content link to a web site? Next: How do I edit a Web Content link?